This chapter is in two parts: the first outlines the development of agriculture from earliest times until the present, and the second highlights the contribution of Robert Bakewell, one of the great agricultural pioneers. Agriculture dominated the economic and social life of the area included in the Charnwood Borough until the nineteenth century, when other industries and services diversified the economy and reduced its relative importance. Agriculture began with permanent human settlements in pre-historic times which took advantage of the lie of the land and its inherent qualities. The river valleys and the Wolds were first settled, allowing the cultivation of good soils and access to vital meadow land which provided the hay for over-wintering livestock. Charnwood Forest had much less attractive terrain and most of it remained a hunting area into historical times. Place names suggest that the district had a mixed ethnic settlement pattern, but of its agriculture the first written evidence comes from the Domesday survey of 1086. Domesday recorded a major redistribution of land ownership which had occurred in the twenty years following the Norman Conquest. The principal agricultural activity was in the river valleys and in the eastern part of the Borough area; Charnwood Forest seemed mainly untouched. Agricultural information suggests an extensive pastoral farming economy. Meadows were highly prized and arable probably sufficed to meet immediate local needs. Sheep rearing earned surpluses to pay rent, to finance improvements and, in the longer term, to support increasing populations. The subjection of Charnwood Forest to more than haphazard use owed much to the expansion of population and the activities of larger landowners, particularly the newly-founded religious houses of Garendon Abbey (1133), Ulverscroft Priory (twelfth century) and, to a lesser extent, the Knights Templar at Rothley by 1203. Sheep made good use of pastures and, undoubtedly, some arable was associated with new villages such as Garendon, Shelthorpe, Bradgate, Woodhouse and Newtown Linford. Lay landowers such as the Le Despensers shared in the colonisation. One other change in the landscape attributable to the larger landowners of the twelfth and thirteenth centuries was enclosure for parks which provided reservations for game. Lay and ecclesiastical owners established parks. Garendon Abbey had two: Dishley and Garendon, lay lords created Loughborough, Beaumanor, Quorn and Bradgate. These enclosures symbolised the privileges and pleasures of land owning. The Burleigh park at Loughborough existed by 1530 and in subsequent centuries land was set aside and landscaped for visual amenity as well as game, as, for example, at Prestwold. Enclosure for agricultural purposes occurred on a limited scale in the Middle Ages; the adverse climate of the fourteenth and fifteenth centuries, as well as the depredations of disease, extinguished some villages as at Hamilton, Prestwold, Shelthorpe and Dishley, where the ground reverted to pasture. The reduced numbers [of people] favoured peasant farming rather than large-scale estate farms, which utilised rents of labour services and low-wage labour. Thus, by the early sixteenth century the natural advantages of heavy clays for grazing and availability of meadows gave sheep continuing prominence. Population growth in the early sixteenth century made the market for wool more profitable so that enclosures continued, allowing landowners to free themselves from the restraints of common field farming. The progress of total enclosure, not only for grazing purposes, of entire villages occurred at Dishley before 1529, and by the end of the seventeenth century at Beeby, Buron-on-the-Wolds, Cossington, Cotes, Prestwold, Wanlip, Woodhouse and Woodthorpe, and partial enclosure had taken place at Barkby, Barron-on-Soar, Syston and Thurcaston. Private Acts of Parliament made enclosure easier during the eighteenth and early nineteenth centuries, and almost the whole of the rest of the Charnwood area was enclosed by 1829 when the Charnwood Forest and Rothley Plain Act became effective. Small amounts of common land remain at Anstey, Loughborough and Wymeswold. The landscape usually reveals parliamentary enclosures by the geometrical shapes of fields and the straightness of the roads. Although pastoral farming had pride of place since the Middle Ages, improvements were not confined to livestock and changes in arable farming meant that even in the open field areas the prevalent three fields [system] did not stop new crops or variations of rotation. Major innovations generally awaited enclosures and by the end of the eighteenth century root crops formed an important part of the arable wherever soils favoured their cultivation. Thus in the crop returns of 1801 about one-fifth of the land in Birstall, Cossington, Quorn, Swithland, Syston, Thurscaston and Wanlip produced turnips. Potatoes became a field crop in the county during the eighteenth century although as late as 1801 the acreages were much smaller than for turnips. Beans and peas contributed notably to the farming output of the eastern parts. In 1801 wheat was the largest grain crop with barley second and oats third. Livestock farming improved, the grazings being used to fatten cattle from Scotland and Wales on a larger scale, whilst the milk surpluses from dairy herds increased the output of cheeses, particularly of the Stilton variety, and made feasible extensive pig rearing. The demand for agricultural produce justified investment in drainage, new buildings, fertilisers and tools. However, the prosperity of the middle decades of the nineteenth century ended in the 1870s when poor harvests, animal diseases and imports of cheap produce from overseas combined to reduce profits from farming. Arable acreages declined, and pigs and dairy cattle remained the most advantageous ways of farming. The First World War brought a modest return of prosperity with increases in arable to meet the national needs for corn. This revival soon ended with the return of peace and farming practices reverted to their pre-1914 character despite the inauguration of marketing boards in the mid-1930s. The Second World War brought radical changes: the trends of over a half a century were reversed. Subsidies encouraged conversions of pasture to arable to supply the nation with corn and potatoes: pig and poultry farming were reduced in size and horses were replaced as a result of mechanisation between 1940 and 1945. The modern farming industry still exploits its natural advantages, but acreages of arable produce cash crops of potatoes, sugar beet and barley. Grasslands support dairying herds and some of the beef produced. A conspicuous change in the landscape has been the removal of hedgerows in places to make fullest use of machinery, whilst landowners have increased farm sizes during the past two decades. The international economy shapes farming policies with government intervention through pricing and other controls. The local work of Robert Bakewell, born in 1725, had national and international influence on methods of raising pedigree livestock. He farmed at Dishley, just north of Loughborough, at the time when England needed more food for the growing industrial population, and he had travelled widely before he took over Dishley’s 440 acres in 1760. Studies of livestock management and the science of pedigree breeding prompted his own experiments. Bakewell was of English yeoman stock, a genius whose original thinking changed [farming] methods in the face of scepticism. Many who disliked him later adapted his methods and hired his breeding stock. In the early 18th century there had been no great demand for extra food. Farms and markets were so isolated by bad roads that new ideas were slow to percolate. Hardly any root crops were grown as fodder and many animals were killed before winter. By the end of the century enclosure was nearly complete and Leicestershire was almost all grazing country. Bakewell was quick to see the advantages of ‘effective control of stockbreeding’ in enclosed fields and with the need for more food his aim became ‘to produce 2 lbs of mutton where there was only one before.’ His breeding principles were to produce ‘beauty of form’, ‘a proportion of parts’, ‘less offal and more meat’, ‘good texture of flesh’ and ‘quality of fattening at an early age’. He always brought together superior branches of the same breed of animal and bred in-and-in to produce his special types. Before Bakewell’s time, cattle had been used mainly for draught purposes and not so much for food. He used long-horned heifers and a bull from Westmorland to produce the Dishley Longhorn, unrivalled for soundness of form, smallness of bone and aptitude to acquire fat. His famous bull, Twopenny, lived for 26 years, having serviced many animals at 5 guineas a time. However, soon after Bakewell’s death in 1795 the Longhorn breed were replaced by Shorthorns because of the need for milkers and dairy produce in Leicestershire. Bakewell’s real claim to fame was the New Leicester Sheep. Wool had for long been England’s source of wealth, but the sheep before 1700 was only a wool provider although it also acted as ‘a four-legged dung-cart’. The aim at Dishley was to produce a sheep with ‘the greatest weight of mutton, for the least expenditure of food, in the least possible time’. Continental Longwools were subjected to in-and-in breeding to produce the Dishley Breed, later to be called the New Leicesters. These were described as having clean heads, straight, broad, flat backs, round barrel-like bodies and they were inclined to make fat at an early age. Bakewell let his rams to farmers for a whole season instead of selling them, and in 1784 was receiving 100 guineas per ram. However, this new breed proved unsuitable for severe climates as it only grew a light fleece. As with the Longhorn, it became unpopular and gradually disappeared. 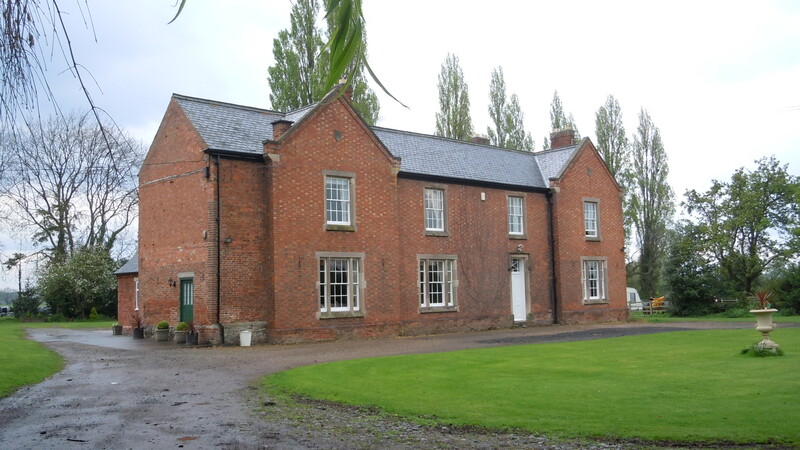 The last of the breed kept in Leicestershire were at Beaumanor up to 1922. Dishley was also noted for innovation in farm management. There were usually about 15 acres of wheat, 25 of spring corn and 30 of turnips. The rest, about 330 acres, was nearly all grazing land with 60 horses, 400 sheep and 150 other beasts. Bakewell used three-year heifers for ploughing. Later he used only two horses instead of the usual six. He levelled the fields, cleared the brook, built sluices and channels and irrigated his fields. In conclusion, although Robert Bakewell was a pioneer animal breeder he ‘was more apt to act well than to tell clearly how he acted.’ We do know that what he tried to do within the limiting influences of his time, came from his attempts to break with tradition and to adapt farming to the changing needs of his countrymen. PYE, N. (ed. ), 1972, Leicester and its region, Leicester: Leicester University Press, has the most recent discussions of soil characteristics and early human settlements. See: THOMASSON, A.J., REEVE, M.J. and HOOPER, A.J., Soils, 114-132; PEEK, R.A.P. and McWHIRR, A.D., Pre-historic and Roman settlement, 195-217; MILLWARD, R., Saxon and Danish Leicestershire, 218-234. Ibid., MILLWARD, R., Leicestershire 1100-1800, 235-263; also HILTON, R.H., Medieval Agrarian History in The Victoria History of the County of Leicester, 2, 145-198. London: Oxford University Press and THIRSK, J., Agrarian History, 1540-1950, ibid., 2, 199-264. CANTOR, L.M., 1972. The Medieval Parks of Leicestershire. Trans. Leicestershire Archeol. Hist. Soc. 46, 9-24. NICHOLS, J., 1795-1815. The History and Antiquities of the County of Leicester. London. For Prestwold see 3:1, 355, and for other halls with parks under the appropriate parish entries. BERESFORD, M.W., 1949. Glebe Terriers and Open-Field Leicestershire in HOSKINS, W.G. (ed.). Studies in Leicestershire Agrarian History,. Leicester: Leicestershire Archaeological Society. HOSKINS, W.G., 1949. The Leicestershire Crop Returns of 1801 in HOSKINS op. cit., 127-153. TURNER, S.E., 1972. Agriculture in PYE, op. cit., 325-339. COOK, H.W., 1942. 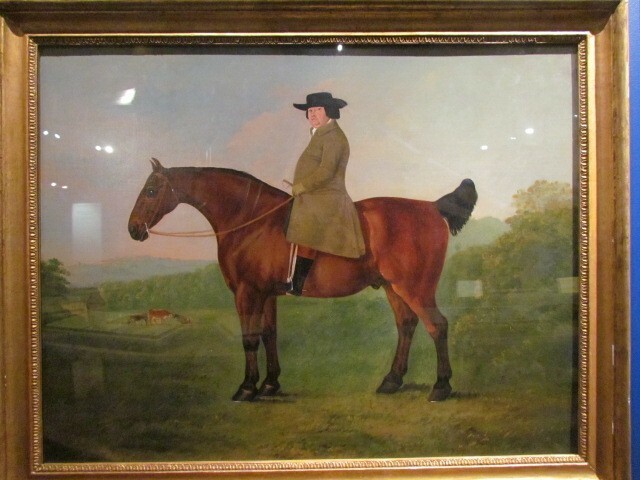 Robert Bakewell of Dishley, The pioneer of English stock-breeding. Ms. Leicestershire Libraries and Information Service. Loughborough Library. A.A.1132., 14-26. HOUSMAN, W., 1894. Robert Bakewel. Jl. Roy. Agric. Soc., 5:1.